Joan Larrabee grew up in a military family; her great-grandfather served in the Union Army as a teenager at the end of the Civil War. She earned a BA in History at Stanford University and a Master of Urban Planning at San Jose State. She worked for the City of San Jose in the fields of recreation, community services and transportation. This entry was posted in Meeting archive on February 18, 2019 by hlj. This entry was posted in Meeting archive on February 15, 2019 by hlj. 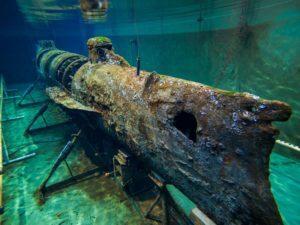 The H. L. Hunley is a Confederate Submarine that was lost and finally located, after 136 years, in the harbor of Charleston, SC. Walter Day was there when it was raised on August 8, 2000. Many artifacts were found in the boat. Restoration began immediately and continues to this day. This talk will give some details of the story, and is based on the book Raising the Hunley – The Remarkable History and Recovery of the Lost Confederate Submarine, by Brian Hicks and Schuyler Kropf. This entry was posted in Meeting archive on January 2, 2019 by hlj. The Battle of New Orleans took place between December 14, 1814, and January 18, 1815. It is widely believed that neither the British nor the Americans knew that the treaty of Ghent had ended the war. But this is patently untrue! Both sides knew very well that the treaty was still subject to ratification in both countries. Britain’s secret plan was to capture New Orleans and take over all of the lands that were once a part of the Louisiana Territory. A fleet of 60 British ships was about to descend upon New Orleans. It contained over 14,000 soldiers and sailors. All of them were the seasoned veterans of the Napoleonic wars. To meet this threat, Andrew Jackson had assembled a motley crew of 1,100 combatants plus a handful of militias. But Jackson lacked both the gunpowder and the flints to sustain a prolonged defense of the City. Enter the pirate: Jean Laffite was a famous pirate whose base of operations was in Barataria, 80 miles south of New Orleans. He was revered by the people of New Orleans. He also possessed all of the munitions that the Americans would need to successfully defend the City. Both sides knew that Laffite was the key to victory in the upcoming battle. 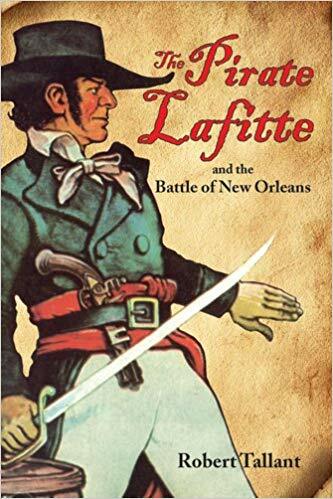 But in the end, Lafitte would side with the Americans and assure our victory. Howard will reveal the fascinating details of this battle. It was the last battle that was ever fought between Britain and America. Howard Jones is an amateur historian and serves as the President of the Peninsula Civil War Round Table. He is a member of the Military Order of the Stars and Bars where he served as Commander General from 2014-2016. 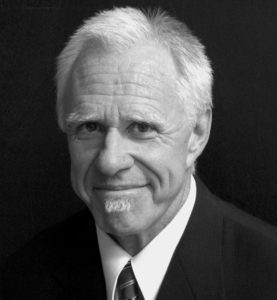 He is also a former president of the Silicon Valley Chapter – Sons of the American Revolution. Howard is proud of both his American heritage and his Southern heritage. 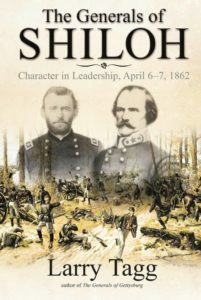 He is distantly related to Robert E. Lee, JEB Stuart, and Nathan Bedford Forrest. This entry was posted in Meeting archive on November 17, 2018 by hlj. The DVD will be shown starting at 12:15, so please have your lunch by then. This entry was posted in Meeting archive on September 5, 2018 by hlj.